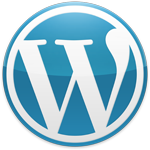 Our Standard Package will get you up and running with a WordPress website. This package provides all the basic features you will need to run a large or small web site at a GREAT PRICE!. Template Customization. This plan includes up to 3 hours of template customization. Change background color, link color, text color. Training: We can provide training at our hourly rate. Domain name registration is the act of reserving a name, or web address on the Internet for a certain period. An example is our domain, www.azalho.com. It is important to know that this domain will remain yours for as long as you renew it and there is no way to purchase a domain name forever. Prices vary depending on domain extension ( i.e. .com or .net). You should do some research before choosing your domain name and extension. Your domain name should be unique and have an extension that is "top level". Contact us if you need guidance in selecting an optimal domain name and extension. Our turnkey website package includes domain registration for 2 years. Web hosting is a service that allows organizations and individuals to post a website or web page on to the Internet. A web host, or web hosting service provider, is a business that provides the technologies and services needed for the website or webpage to be viewed in the Internet. Websites are hosted, or stored, on special computers called servers. When Internet users want to view your website, all they need to do is type your website address into their browser. Their computer will then connect to your server and your webpages will be delivered to them through the browser. Our website package includes 2 years of hosting. With a logo file and a few quality images of your assisted living home, ALHO can produce a high quality marketing video suitable for websites, youtube, facebook, and much more. Pricing starts at $25.00 for a basic marketing video like the one shown here. Gain an advantage over national placement agency marketers by making sure your assisted living home is listed in Google Maps and Google My Business. This will ensure your business is presented in Google's local business search results. Read this article to find out how you can do this yourself, or email us if you need assistance.